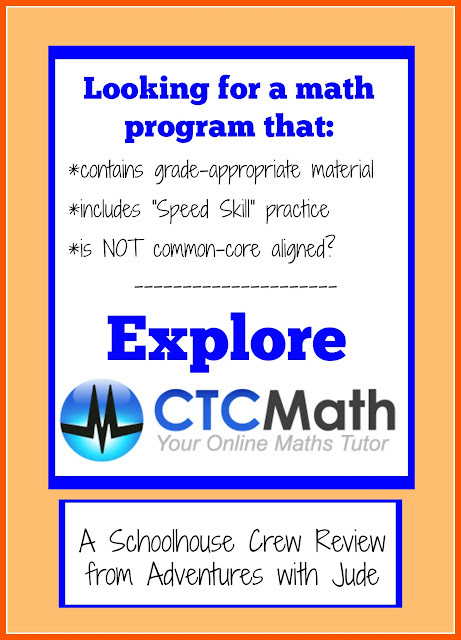 You may remember that last year we reviewed a new program from CTC Math. At the end of the review, I was trying to decide what we were going to do for math this year. Inertia won out, and we continued using CTC Math because we already owned it. I am happy to say that when Crew members were asked to review the program again, I was quick to raise my hand for their 12 Month Family Plan. Our family absolutely loves this program. 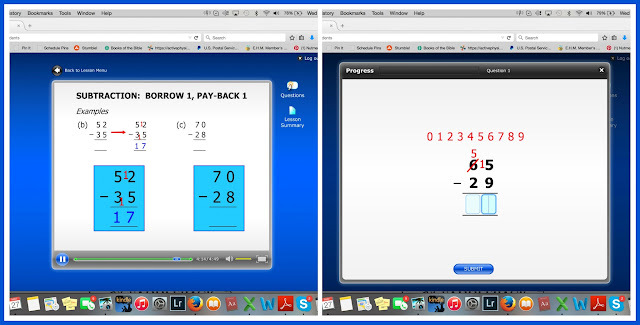 CTC Math is an online math curriculum that provides lessons for all ages - from newly minted Kindergarteners to upper level Calculus students. Each lesson starts with a short tutorial video and continues with a practice session to help hone skills. Created and voiced by a homeschooling dad, Pat Murray, this is a program for homeschool and in-school students alike; everyone in our home has used CTC Math. The bulk of this review is going to be on Jude and their third grade program as a homeschool curriculum, since that's what we used during the Crew review period. (In other words, instead of meandering through the year, I actually had a focused plan so I could share specifics about the program.) However, I want to back up for a moment and share how this helped Celia - my in-schooler - since the last review was shared. 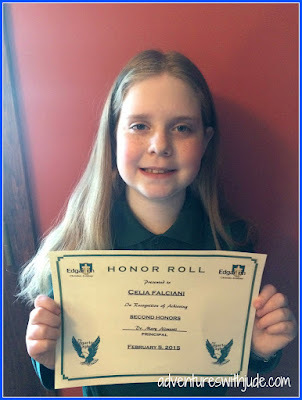 Last September, she was accepted into the accelerated math program at her school. In order to end 8th grade with the knowledge to pass a high school Algebra 1 exam, this year was a warp-speed journey though 5th and 6th grade maths. There were times when she came home frustrated, and said, "I understand what Mrs. N wants me to do, I just can't get it back out." Her grades were adequate for staying in the program, but she wasn't happy. She decided to use CTC Math to help her. Being able to move between two or three grades (fifth, sixth, and Basic Math/Pre-Algebra) made things clearer for her. Fractions made sense. Equations balanced themselves. Her early math grades kept her from her goal of being on her school's honor roll, and her post-CTC report card came with an certificate for Second Honors. She was thrilled. CTC Math's short lessons (under 10 minutes) and worksheets never felt like "another math class" to her; sometimes, they took less time than the homework she was assigned! Being able to move between the levels was key - because she was learning concepts simultaneously, she need to be able to move between units. Ok, that's a politically loaded statement, I know. My personal feeling is that a common core isn't a bad concept - given how much Americans move around, there should be some sort of framework to ensure a child who moves from Anaheim to Annapolis is at about the same spot in his studies. However, I think how it was implemented has been an absolute disaster. Because CTC Math is an Australia-based company, it is totally removed from the whole CC debacle. It's not concerned with being all things to every child -- it just teaches in a way that founder Pat Murray has had success with for over 17 years. If it's not broke, why fix it? 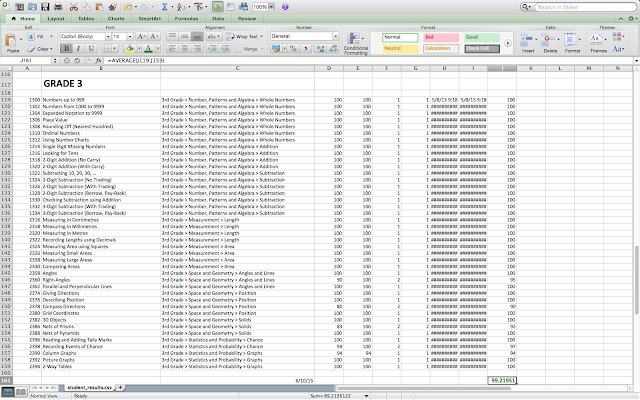 Because it is not CC aligned, it doesn't have all of the "excess" practice that I have found CC programs to have. With CTC Math, the subject is presented in a clear, straightforward manner, the student learns the concept, and then practices it in a practical manner. The sequence is layered that rather than spending three weeks learning (for example) how many ways you can get to the number ten, you work on problems that ask you to add 5 + 5, 3 + 7, 8 + 2, 10 + 0. The student's skills grow with real use, not pages of "academic exercise." This was a real draw for us with Jude, and probably the biggest source of my inertia. We had used another program with Jude before last year, and he got incredibly frustrated with doing pages and pages of the same thing. 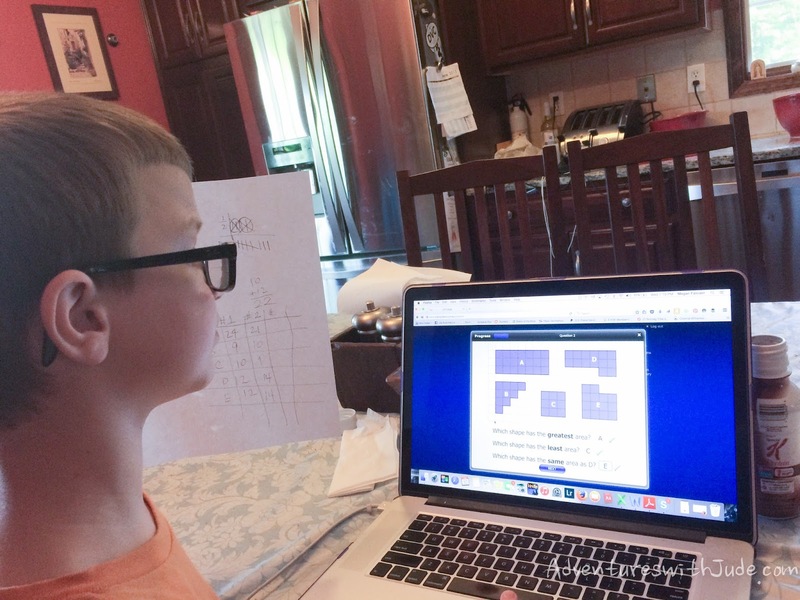 This year, he actually asked to do math, rather than dreading it, because he knew if he could show he knew something, he could move on...not do it again tomorrow anyway. 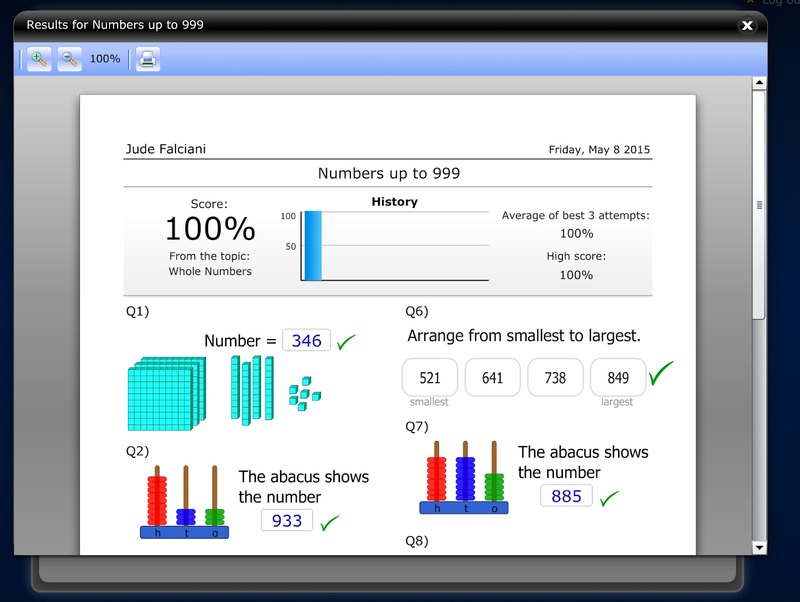 During last year's review period, Jude started working on second grade math. He meandered his way through it, and we did take a break from CTC to work on concepts he needed extra help in. (He will be brilliant at balancing his checkbook, but heaven help him if he needs to put change in a soda machine.) By the time this year's review period came around, he was ready to move on to third grade. We started with the Numbers section. 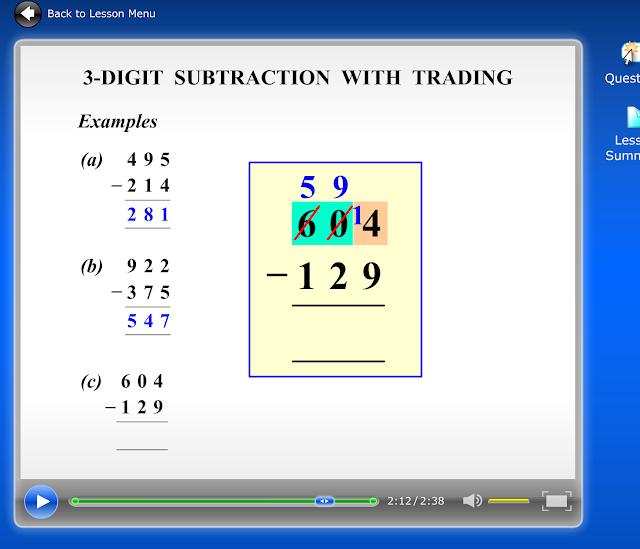 I purposely stopped before multiplication, because I wanted to explore other areas for the review. Multiplication is something that is a base for nearly everything he'll do from now on, so I want to be able to have an open-ended timeframe for that. However, the addition and subtraction were not a simple review. They did begin with some familiar things - carrying and borrowing, for example - but then added the hundreds column and needing to borrow "twice" when subtracting. Jude flew through these sections, but I wasn't surprised. He's been doing a daily practice sheet of adding and subtracting, so this wasn't particularly hard. We moved on to the other areas. On one hand, the beautiful thing about CTC lessons is they are only about 5 or so minutes (often less; upper courses still don't exceed 10 minutes), followed by the worksheet. If you have a child that really isn't into math, it's a short time to "get it over with," and move on. However, Jude couldn't understand that math class was only 10 or 15 minutes, especially when language arts could take up an hour and a half between phonics, spelling, reading, etc. He'd say, "just one more...just a one more..." and next thing I knew, he was asking me to help print his certificate. 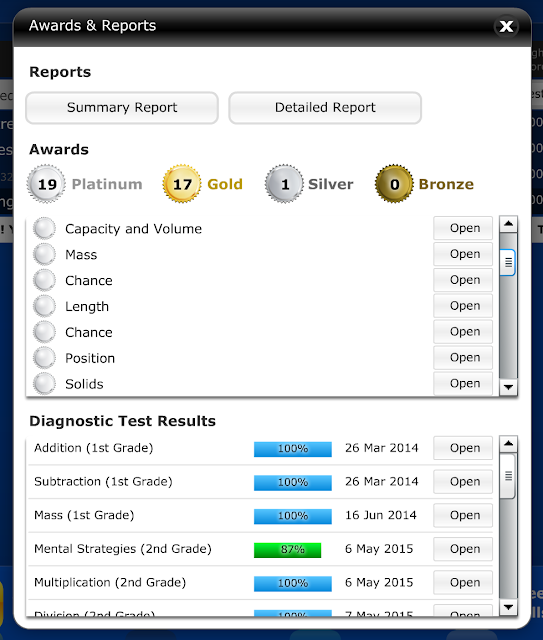 Now that we've had time to use this with several levels, I wish the awards were separated by grade instead of medal color, or at least identified within levels. Jude knew what level his award was, but there were times he'd look and say "Which one is the new one?" This leads me to something I'm struggling with. 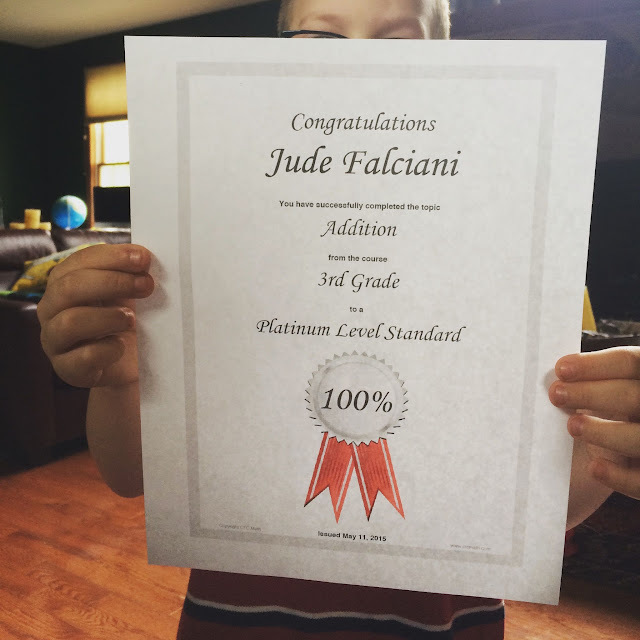 Jude has completed three of the four sections - Measurement, Space and Geometry, and Statistics and Probability - as well as half of Numbers, Patterns and Algebra in less than a month. Yes, he's a bright child, and every mother thinks their baby is a genius, but in all seriousness, I find myself second guessing that it's enough. It seems like you could take a whole year IF you did one lesson (2-5 min video + 10 min worksheet) daily, and then factored in for days you didn't do math. I'll admit, this seems kind of comparable to a regular classroom - each lesson takes longer just because there are twenty kids instead of one, and math doesn't happen all 180 days because of assemblies and other schedule overlaps. It took Jude a full calendar year to complete second grade, but again - that factors in vacation time, only working on one lesson at a time, and a break for CTC to work on skills he wasn't grasping (like coins and their value). I've given him some printable third grade worksheets I've found online (for fun! ), and I sit with him when he does the lessons. I am sure he does know the material. Finally, I went back and checked the program against the Common Core standards, to make sure that there wasn't anything "missing." Nope, everything a third grader is expected to know is there. (The only thing I think I may need to add in is English measurements, because CTC teaches only using the metric system of meters and centimenters, not feet and inches.) We'll be taking six weeks off over June and July, and getting back to school in the beginning of August. Even with a big break, I think it's entirely possible that he will be ready for fourth grade math by Thanksgiving, if not Halloween. Watching him plow through third grade, I'm sitting here thinking, "Is it enough? He's done 40 lessons in 15 days, and is carrying a 99.2 average. Second grade seemed like enough...was I wrong?" So, I started to look back at what he had worked on. Location and directions are covered, both in left-right and compass directions. 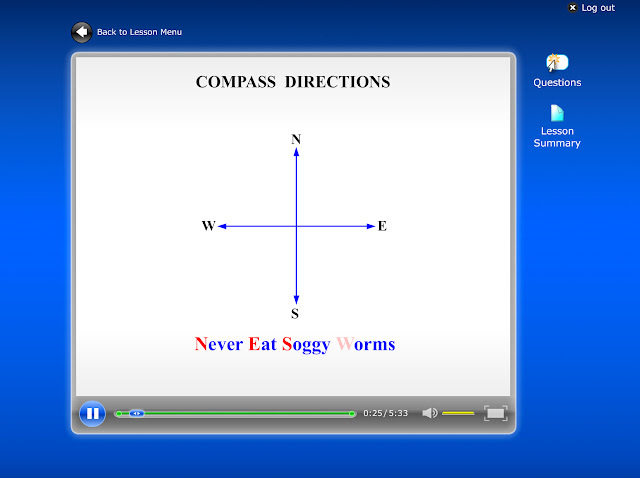 He thought "Never Eat Soggy Worms" was a much better mnemonic than the one I learned - Never Eat Sour Watermelons. 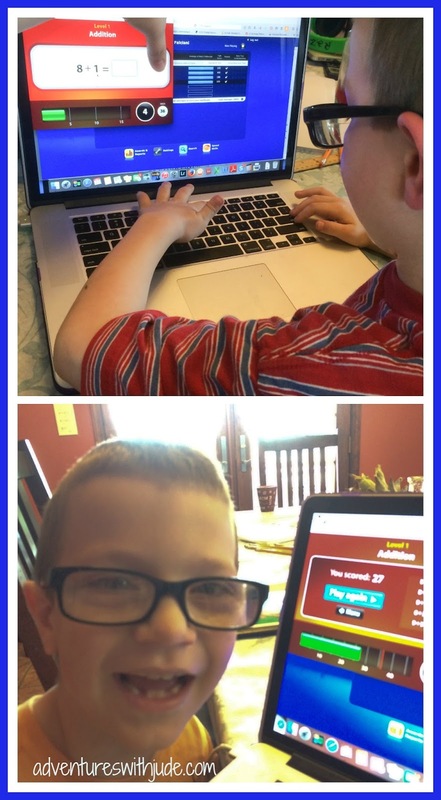 In addition to straight borrowing (CTC Math calls it "trading"), Jude learned how to "borrow and pay back", creating a less cluttered working space. He decided he preferred to stick with borrowing, but for some kids, adding ten in two places makes more sense. He understood the algebraic concept, but found in practice, borrowing was easier. The geometry is intense. First is a study of parallel and perpendicular lines. At first, it took Jude a bit to grasp the ideas. I asked him, "What are PQ and RS?" His answer: "Um...Consonants?" After a little practice, he got the idea, and now is identifying parallel lines (the decking boards on our porch) and perpendicular ones (the rails and balusters in the fence) in his life. 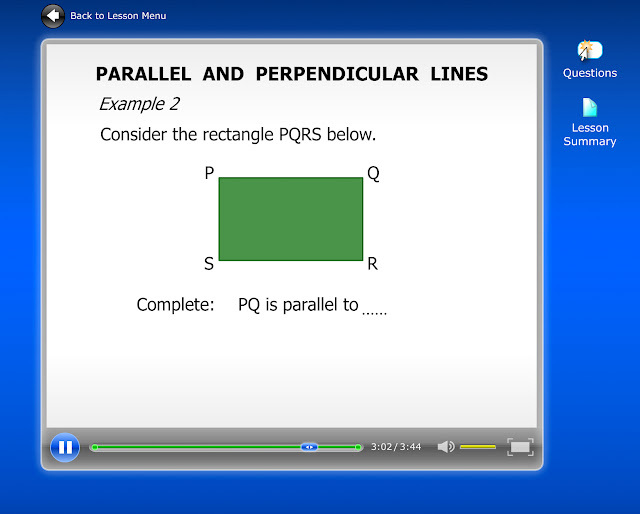 The program also teaches "regular" vs. "irregular" shapes, and more "advanced" polygons such as parallelograms and trapeziums (trapezoids). Numbers are represented in many ways. They can be in blocks, or on an abacus. The third grade program introduces the concept of the "hundreds place." 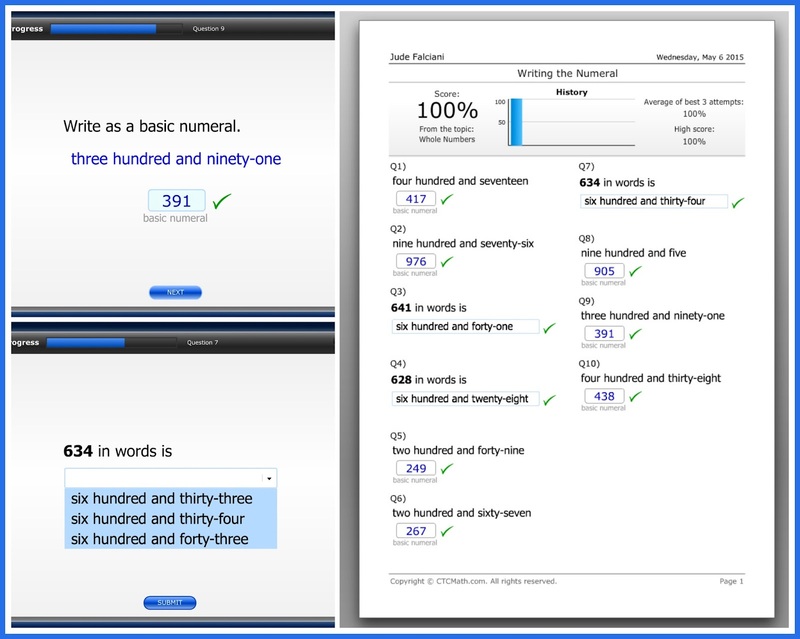 It also reinforces written vs numeral figures. 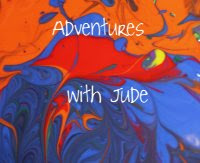 Jude was incredibly excited to be able to do this one without any help. Last year, I would read the words, and he would either write the correct numerals, or choose the correct words from what he heard. 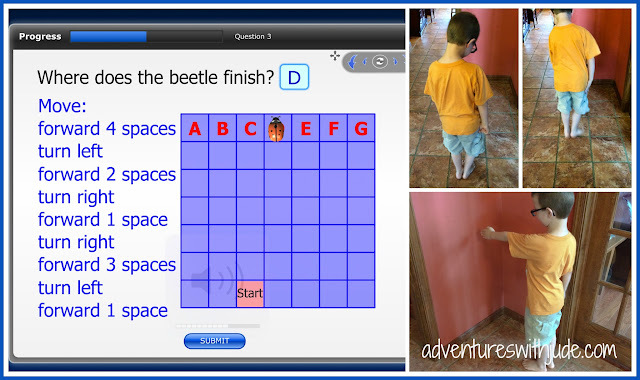 Since then, he's learned how to read, and he was able to complete this unit completely independently! In addition, he is putting other concepts into practice. For example, he needed to compare the areas of five shapes. He decided to create a graph of the shapes and their areas so he could do this much more efficiently. One of the "new" things we tried this year was the Speed Skills area. 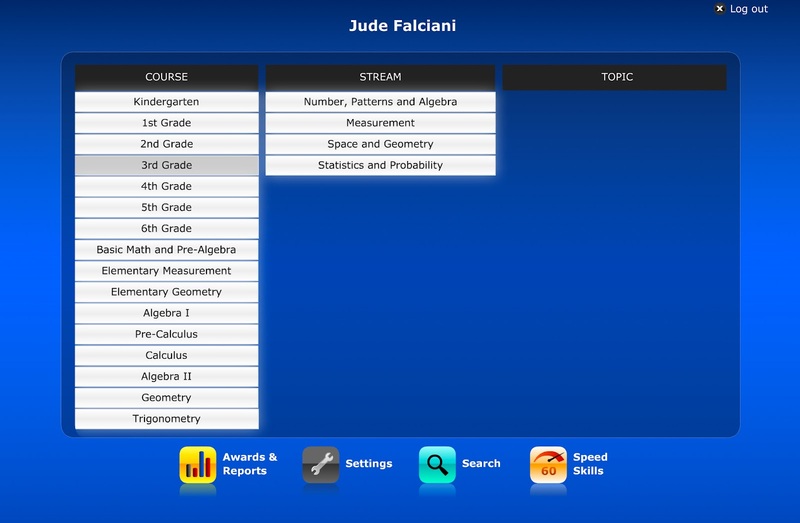 I think having a this within the same program makes it less distracting to the student - he can log in once, work on his assigned lesson and speed skills, and then be done. However, for Jude, the Speed Skills were a huge source of stress. That pesky timer! 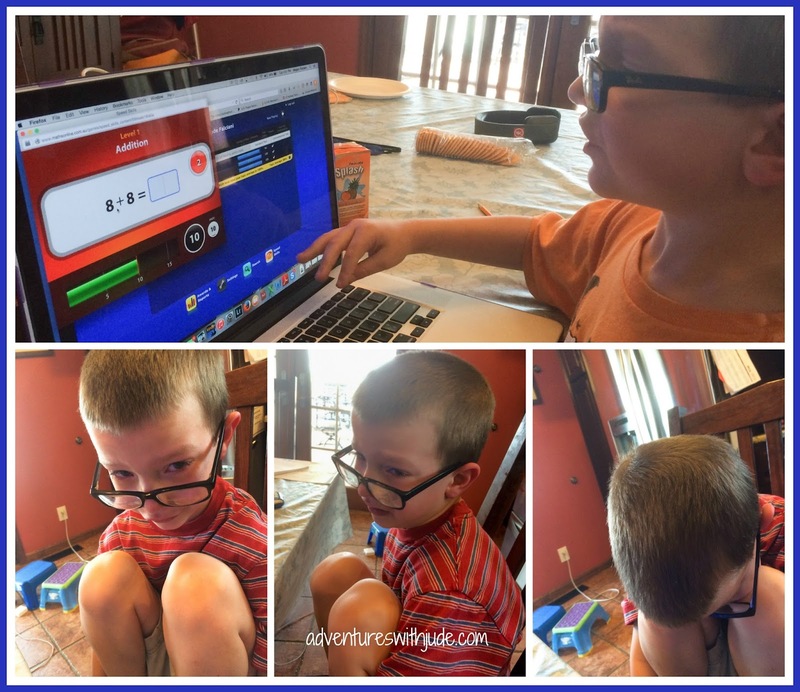 I was able to solve the "problem" -- by covering the timer with my finger, he was able to focus on the math portion, rather than being distracted by the timer. This smile was because he beat his goal for the day. It's still a very stressful thing for him, and we may actually skip this going forward, and go back to our "daily problems" sheet for repetition practice - the more he does, the faster he will naturally get, rather than trying to cram as many problems as possible into one minute. There is another speed program, called Shoot 'Em Up, that helps reinforce time tables; I think Jude may like that one because it is more of a game than a drill. We'll give that chance once Jude has more experience with multiplication. Overall, I'm very pleased with CTC Math. Celia plans to continue to use the program for helping her to clarify what is going in school. 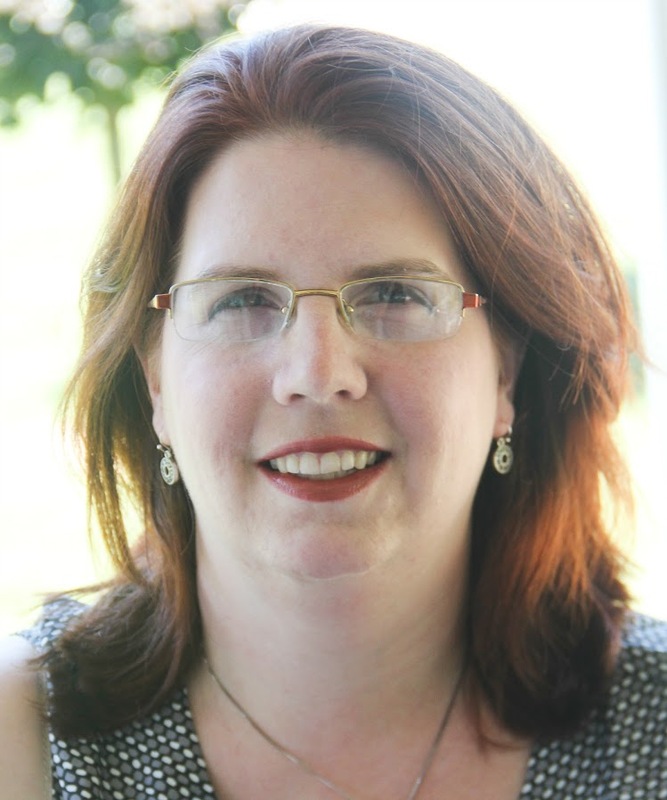 She's hoping that this year will move a little slower, because they'll be back on a "one grade per school year" pace, but if things still get away from her, she's prepared. Damien has been meandering his way through kindergarten this past year (he started working during last year's review), but this fall will bring a more focused schooling experience. 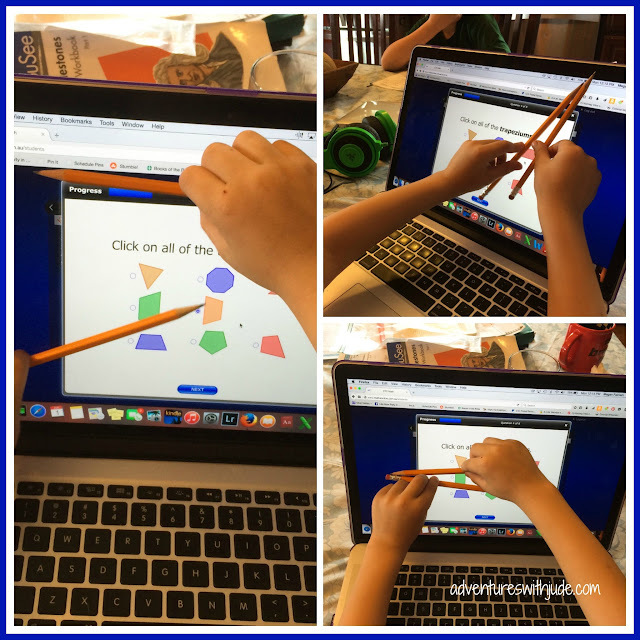 We have been working through the Kindergarten level bit by bit, and I find it to be well planned for young child - short videos and tasks that challenge but don't overwhelm. For Jude and third grade, I'll add in a unit on English measurements, and make sure his multiplication skills are solid before moving on, but in looking at CTC Math and comparing it to other programs, but I think Jude's speed is a reflection of his grasp, not of any program shortcomings. The younger boys' math program for next year is set...now to just organize the rest of next year! 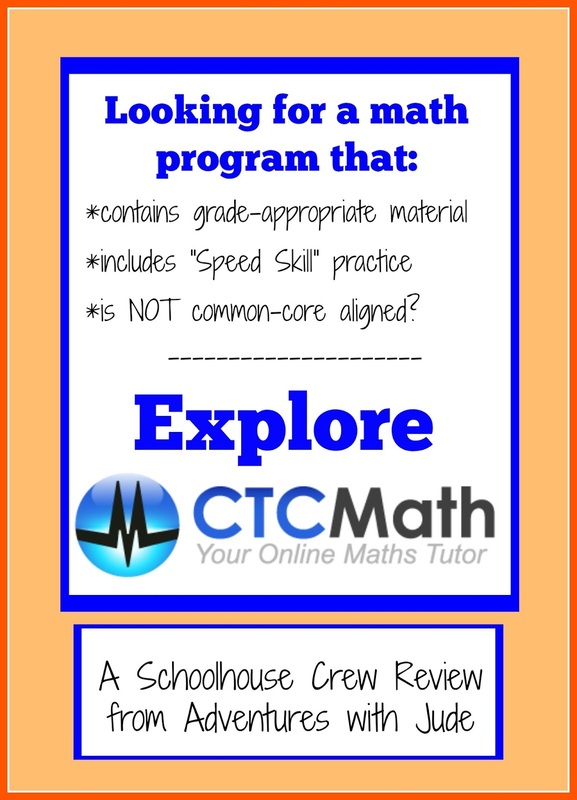 Click the banner below to read more Crew reviews, or follow CTC Math on Facebook.